Are you reading on? It may be stressful. The topic of visa regulations often raises feelings of resentment and bitterness . But please bear with me and learn why a grassroots social media campaign on Facebook and Twitter with an accompanying Change.org petition is slowly gaining momentum. The objective of the movement is to pressure the Ghanaian government to change strict international leisure tourist visa regulations to Ghana. At present, Ghana requires tourists to complete a demanding, time consuming, and often stressful application process. This hurts Ghana’s tourism industry, the ‘silent export’, the number three earner of foreign exchange after cocoa and gold. Thus, the over 350 members of the SCRAP SHORT TERM TOURIST VISAS TO GHANA Facebook group and 175 signatories to the Change.org are advocating policy change/reform, to grant visa exemption of 30 days or less to international leisure tourists to Ghana. You are invited to join this campaign on FB for a better Ghana. Recently, it was reported that Ghana had slipped eleven places in the World Economic Forum’s global competitiveness index going from 103 to 114 of 140 countries ranked. In the tourism sector, Ghana has so much going for it! Ghana is a peaceful democracy, the recent court case has proven that. Ghana is hospitable; we are celebrated worldwide for our friendliness and vitality. Ghana is an intriguing, fascinating country; witness the castles and forts, the markets and festivals, the beaches, the forest and the savannah. And yet in 2012, total earnings for Ghana’s tourism industry according to the Ministry of Tourism, Culture and Creative Arts were only US$1.6 Billion. Africa as a continent did a whopping US$34 billion in 2012. The four leading countries with thriving tourism industries, South Africa, The Gambia, Morocco, and Mauritius, have all scrapped tourist visas. Other countries such as Cape Verde, Egypt for their resort town Sharm el Sheik, and Malawi have also waived tourist visas. And there are variations on this theme. Rwanda has exempted US citizens from getting a tourist visa. Rwanda has also instituted an eVisa system whereby travellers acquire their visas on-line thus eliminating high overheads employing foreign service personnel. Zambia has no visa requirements for many Commonwealth nations . Is Ghana not a member? Ethiopia, Tanzania and Kenya, those East African tourism powerhouses, have simplified their entry procedures with Visas on Arrival (VOA). Remember Ghana is competing with all these countries. The other day someone asked me what the basis of the campaign was. In short, it’s all about increased international tourist arrivals, which means more business for tourism related businesses, hotels and beach resorts, restaurants and chop bars, travel and tour companies and car hires, bars, nightclubs and spots, handicraft and clothe shops not to mention all retailers, museums and national parks across the length and breadth of Ghana, more business for their suppliers of goods and services, more jobs for the youth (of major concern for our Minister of Foreign Affairs), more local and foreign investment, more tax revenues and budget debt reduction, more infrastructure development, more poverty reduction and regional development. In other words, tourism would be placed as the key to national sustainable development. But most important, scrapping short-term tourist visas will make Ghana more competitive on the African continent and worldwide. 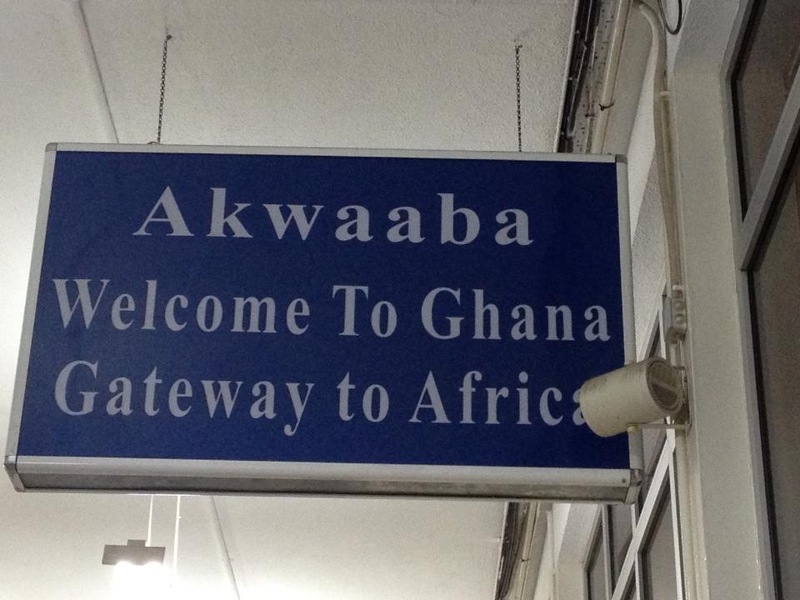 Furthermore, this public policy change will brand Ghana as truly THE AKWAABA NATION and THE GATEWAY TO WEST AFRICA! Now is the time! And thank you for reading to the end.